Fly to Broome and be transferred to your central Broome hotel. The historic pearling town of Broome is blessed with a fantastic climate and simply sensational natural surrounds, immerse yourself in Broome's fascinating pearling history at Pearl Luggers, visit the world's oldest running open-air cinema and see the rusting remains of destroyed WWII Dutch flying boats. Spend the day exploring Broome at your own pace before making your way to the Cable Beach Club Resort & Spa to meet your fellow travellers. Enjoy dinner at your leisure before retiring for the night before your Kimberley luxury 4WD adventure begins. Take an epic road trip through the heart of Western Australia's beautiful Kimberley region on the iconic Gibb River Road, this 4WD adventure takes you through an ancient and mystical landscape, a landscape of unequalled beauty, towering gorges, cascading waterfalls and glistening rock pools, hike, swim and explore, all the time spotting for the diverse wealth of abundant wildlife. Depart Broome and visit the famous Boab Prison Tree, used to house Aboriginal prisoners overnight on their way to sentencing in Derby before starting your journey on the famous Gibb River Road. Wade through the cool waters of Tunnel Creek and visit Windjana Gorge before arriving at your accommodation for the next two nights in Bell Gorge. Breakfast, Tunnel Creek Walk, Lunch, Dinner, Overnight Bell Gorge Accommodation. Ruggedly beautiful Bell Gorge lies in Western Australia's vast and remote Kimberley region, the gorge is one of the most popular and scenic gorges of the Gibb River Road, the gorge's main attraction is a stunning tiered waterfall that cascades down into a deep pool ideal for swimming, follow the gorge upstream and explore rapids, pools and small beaches. Travel back to the Gibb River Road and stop at Bell Gorge to take a swim in the waterholes that are surrounded by rugged cliffs. Spot birdlife or take a hike while at Bell Gorge. Return to your accommodation this evening after spending the day at the Gorge. Breakfast, Lunch, Dinner, Overnight Bell Gorge Accommodation. Drysdale River Station is a family owned and operated working cattle station located just off the Kalunburu Road in Western Australia's remote and rugged Kimberley region, this million acre station offers various types of accommodation, a riverside camp area, a small general store, a licensed dining room and a beer garden complete with good food and cold beer. Leave Bell Gorge and travel through Kimberley cattle country on your way to Drysdale Station for the night. Visit Galvans Gorge and take a swim and examine the Wandjina rock art on the walls of the Gorge. Enjoy lunch at beautiful Manning Gorge before turning off the Gibb River and making your way to the famous cattle station of Drysdale River Station for dinner. Breakfast, Lunch, Dinner, Overnight Drysdale Station Accommodation. Located in the remote and beautiful Kimberley region of Western Australia, the Mitchell Falls is a stunning four-tiered waterfall that embodies the rugged beauty of the Australian outback, this picturesque oasis set amid the red rock wilderness is a simply sensational sight, to see the falls in all their full majesty scenic helicopter flights are available. Cross the Drysdale River and ascend the remote Mitchell Plateau to a world of cabbage palm forests, gorgeous waterfalls, swimming holes and lookouts. Examine some of the oldest rock art in the world dating back to up to 60,000 years. Visit Wandjina and Bradshaw Art galleries and swim in King Edward River. Enjoy bird watching or take a dip in the creek near your accommodation. Enjoy a special 3 course dinner this evening showcasing the region’s local produce. Breakfast, Lunch, Special Three Course Dinner with Drinks, Overnight Mitchell Falls Accommodation. The Mitchell Falls in Western Australia's vast and remote Kimberley region are a breathtaking and unforgettable sight, a mighty four tiered waterfall cascading down ochre escarpments into deep pools, the raw energy and power of these misty falls is something to behold, the falls are also home to some impressive Aboriginal rock art. Spend the day exploring Mitchell Falls. Join local Aboriginal guides, when available, and hike up to Little Mertens Falls to view Aboriginal rock art before continuing to Big Mertens Falls. Arrive at Mitchell Falls and take in the specatucalr scenery and take dip in the pools above the falls. Enjoy an included scenic helicopter flight over the falls back to the vehicle. You can also choose to hike back to the vehicle if you prefer. This evening spend time at your accommodation reminiscing on your day. Breakfast, Hike to Mitchell Falls, Mitchell Falls Helicopter Flight, Lunch, Dinner, Overnight Mitchell Falls Accommodation. Home Valley Station offers an authentic cattle station experience in Western Australia's rugged and remote Kimberley region, set amidst ochre outback surrounds this working cattle station is owned and run by local Indigenous people who offer bushtucker treks, fishing expeditions and guided walks in the Kimberley's beautiful and expansive surrounds. Leave Mitchell Plateau this morning and rejoin the Gibb River Road and travel to the immense cattle property of Home Valley Station where you will be spending the night. Cross the Durack River and watch the sunset over the impressive Cockburn Range. Breakfast, Lunch, Dinner, Overnight Home Valley Station Accommodation. El Questro Wilderness Park lies in Western Australia's beautiful and remote Kimberley region, the park's one million acres encompasses lush rainforest, rugged gorges, dramatic waterfalls, broad tidal flats and four major river systems ranging from fresh water springs to salt-water estuaries, the park is home to an abundant and diverse wealth of animal, fish and bird life. Tour Home Valley Station and learn about the history of cattle stations in the Kimberley. Learn about the work the Indigenous Land Corporation do in assisting Indigenous people acquire and manage land. Later, cross the Pentecost River into El Questro Wilderness Park that covers a massive 1 million acres. Visit the Zebedee Springs for a swim in the hot pools and visit the station township. Breakfast, Lunch, Dinner, Overnight El Questro Accommodation. Kununurra is a bustling boom-town in Western Australia's remote and rugged east Kimberley region, the town's beautiful natural surrounds give plenty of opportunity to immerse yourself in the outdoor lifestyle with activities such as canoeing, hiking, caving, abseiling, boat cruising, swimming and fishing, the town itself also has several Aboriginal art galleries. Continue exploring El Questro Wilderness Park and hike to Emma Gorge where you can take a swim. Later, travel to Wyndham and take in awe-inspiring views of Cambridge Gulf from Five Rivers Lookout. Enjoy an iconic outback pub lunch before continuing to Parry’s Lagoon, a birdwatchers heaven, on your way to Kununurra for the night. Breakfast, Outback Pub Lunch, Dinner, Overnight Kununurra Accommodation. The picturesque Ord River lies in Western Australia's remote Kimberley region, this 320 km long river is home to wonderful scenery including lush mangrove forests, creeks, lagoons, flats and extensive floodplains that are inhabited by a diverse array of animal and bird life, the Ord River Irrigation Scheme and Diversion Dam created the nearby, majestic Lake Argyle. Explore Kununurra today before travelling to Lake Argyle, the largest man-made lake in the Southern Hemisphere. Enjoy a wildlife cruise along the Ord River and discover the fascinating ecological system of the area. Enjoy a sunset cruise on Lake Kununurra before spending time at your own leisure in Kununurra. Breakfast, Ord River Cruise, Lake Kununurra Sunset Cruise, Overnight Kununurra Accommodation. The domed rock formations of the Bungle Bungles are one of Western Australia's most striking geological landmarks, the giant orange and black striped mounds change colours throughout the day with the different light and they enclose deep gorges and palm lined rock pools, Purnululu National Park where the Bungle Bungles are located is home to Aboriginal rock art and burial sites. Depart Kununurra and travel to Purnululu National Park, home of the iconic bee hive domes of the Bungle Bungle Range. Learn about the cultural significance of the range and join a hike into Echidna Chasm. Later, settle into your accommodation in the heart of the Bungle Bungles and enjoy dinner with your travel companions. Breakfast, Echidna Chasm Hike, Lunch, Dinner, Overnight Bungle Bungles Accommodation. The Bungle Bungles are one of Western Australia's most iconic geological landmarks, these beehive striped giant domes rise majestically from the floor of the Piccaninny Gorge in World Heritage listed Purnululu National Park and are an incredible sight, the domes change colours throughout the day with the differing light giving them a mystical and magical appearance. After breakfast, explore Purnululu National Park. Walk along Picaninny Creek, a gorge within the Bungle Bungles. Next, visit Cathedral Gorge, a natural amphitheatre within the domes with stunning acoustics. Take an optional scenic helicopter flight over the Bungle Bungles before enjoying spectacular sunset drinks as the sun sets on the range. Breakfast, Lunch, Optional Scenic Helicopter Flight, Dinner, Overnight Bungle Bungles Accommodation. The small welcoming town of Fitzroy Crossing is situated on the banks of the mighty Fitzroy River in the ruggedly beautiful Kimberley region of Western Australia, this pleasant little township has a mostly Aboriginal population and is dotted with original buildings such as the police station, nearby attractions include Tunnel Creek and Geikie Gorge. Depart the Bungle Bungles today and journey to the famous Gold Rush town of Halls Creek. See the unique China Wall, a natural quartz formation that runs over a gentle hill and named after the Great Wall of China. Later, continue to Fitzroy Crossing for the night. Breakfast, Lunch, Dinner, Overnight Fitzroy Crossing Accommodation. The magnificent Geikie Gorge National Park is located in the vast and remote Kimberley region of Western Australia, the park is one of the most accessible in the Kimberley and is home to Geikie Gorge, part of an ancient barrier reef that has been eroded by the mighty Fitzroy River and has formed a spectacular gorge that towers over the water. Tour from Fitzroy Crossing back to Broome today. Stop at Geikie Gorge National Park and enjoy a cruise along the Fitzroy River. Marvel at the flora, fauna and stunning landscapes of the region before returning to Broome for your final night. 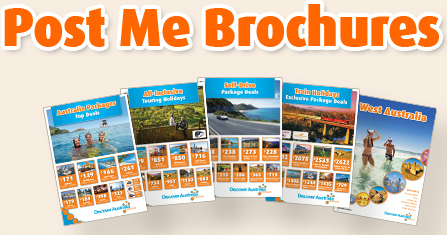 Breakfast, Geikie Gorge Cruise, Lunch, Dinner, Overnight Broome Accommodation. The historic pearling town of Broome is surrounded by the aquamarine waters of the Indian Ocean and mangroves of beautiful Roebuck Bay, Broome is cosmopolitan and vibrant, the town's centre is Chinatown which is home to exquisite pearl showrooms, attractions include Cable Beach, Pearl Luggers, Sun Pictures and the Japanese Cemetery. Spend the morning at your own leisure before being transferred to Broome Airport. 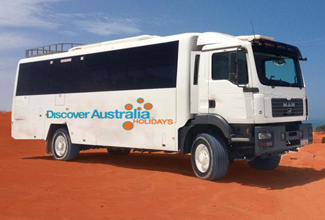 The Mitchell Falls, Bungles, Kimberley Gorges, Gibb River Road & El Questro Luxury 4WD Touring is very popular. Many dates book out well in advance, please book soon.